Celebrate in style as the CFL unveils the 2018 Class of the Canadian Football Hall of Fame. Hear from great talent and meet some of the biggest stars of the game! 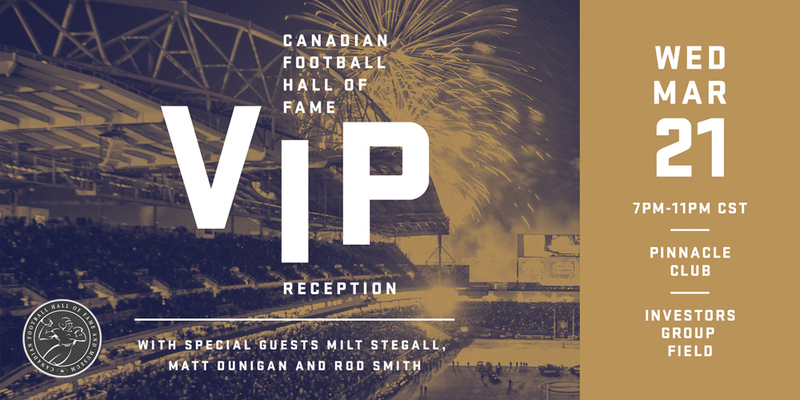 Your $200 +GST ticket includes a VIP cocktail reception, speeches from celebrated players, and a meet-and-greet with the 2018 Class of the Canadian Football Hall of Fame.